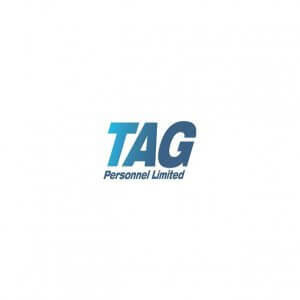 Hi, I’m Stuart Moffat and I’m the Financial Director at TAG Personnel Ltd.
We incorporated TAG Personnel in March 2012 after the sale of a previous recruitment company. Where did you find out about Back Office? I conducted some internet research after a recommendation from one of our clients. Why did you decide to join Back Office? We just felt comfortable with you as a company we had several discussions and had two face to face meetings with Janine. Almost straightaway, we realised that Back Office would provide us with a more professional, comprehensive service that we all felt was lacking with our existing payroll support company. What did you find easiest about the joining process? Everything! We had no issues surrounding the entire process, from the transfer of debt from our previous provider to all the temp’s payroll requirements. What Back Office needed to make the transition go smoothly was very transparent and we were kept informed throughout. If we had known how effortless Back Office could make what we believed to be such a major business decision, we would have done it sooner! What are the benefits for your business by using Back Office? First and foremost, trust! Back Office offer us peace of mind and that TAG is in good hands surrounding our business finances and you clearly understand that the professional welfare of our contract staff is a top priority to us as it’s how we maintain a successful, profitable business. The service offered by Back Office allows us to concentrate on running and growing the business at ground level with confidence that we have the Back Office behind the scenes delivering us with a professional, friendly and compliant payroll facility to complement our high standards and all the hard work involved running a recruitment business. How likely you are you to recommend Back Office? I would have no hesitation in recommending the services of Back Office to anyone considering a Payroll / Finance support company for the first time. I would also recommend any recruitment business that is unhappy with their current provider and wants to improve their service levels, which I am confident Back Office would do! Is there anything else you’d like to say about your journey with Back Office? The presence of a good infrastructure is clear within Back Office; however, it is the friendliness, dedication and professionalism of their staff we have been lucky enough to work with that will ensure a long-term relationship between TAG and Back Office.